STEAM (Science, Technology, Engineering, ART and Math) wrapped up in Bee-Bots, Osmo and Spheros that serve a dual purpose in allowing for lessons that relate to core content as well as computer science, inventions, problem solving, critical thinking and decision making. Coding and computer programming skills K - 5 within the curriculum and the children will probably think they are just having fun! 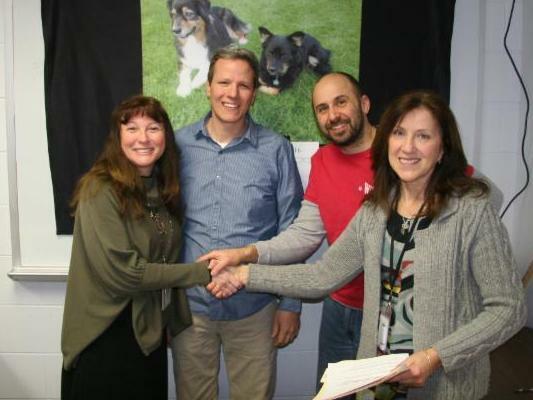 The Right Track $600 Andy Grimm & Kelly Perdue, Horace Mann MS Guidance and Peaceful Solutions Counseling - Partnering with Peaceful Solutions, HMMS will pilot the Choices Track I program on campus. This is the first time such a group has offered their services to address students needs for intervention. Target population is students with documented AODA violations at school or in the community. Sparking Innovation and partnering with Community resources for student success. Sixth grade at the charter school will have the opportunity to visit Wisconsin's living history at Heritage Hills in Green Bay, WI. For many this out of classroom learning will be a chance in a life time for hands on experience tied to the curriculum. The grant funds basic supplies and equipment necessary to start up a Coffee Cart service at Wausau East High School. Students from the special needs vocational class will not only be engaged in all aspects of the business but also helped write the grant. With securing this grant a community member has made a commitment to donating the coffee. Sparking Innovation and community support in our schools! Completion of an engine run stand on wheels that supports a modern day fuel injected engine and electronically controlled automatic transmission will provide hands-on, job embedded training for auto tech students from East and West. Housed at East HS Automotive classroom, it will be used for teacher led demonstrations as well. Thank you! Wausau Police Department for partnering for providing additional funds to make the opportunity a reality. 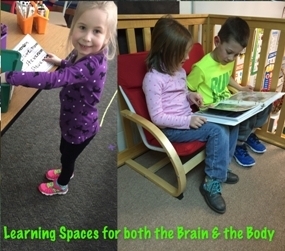 Learning Spaces $1554 Tera Mattke, Kindergarten teacher at South Mountain Elementary - Passionate about​ 'learning spaces for both the brain and the body' - grant funds will allow adding research designed pieces so children can self-regulate and problem solve in a flexible and flowing classroom environment. 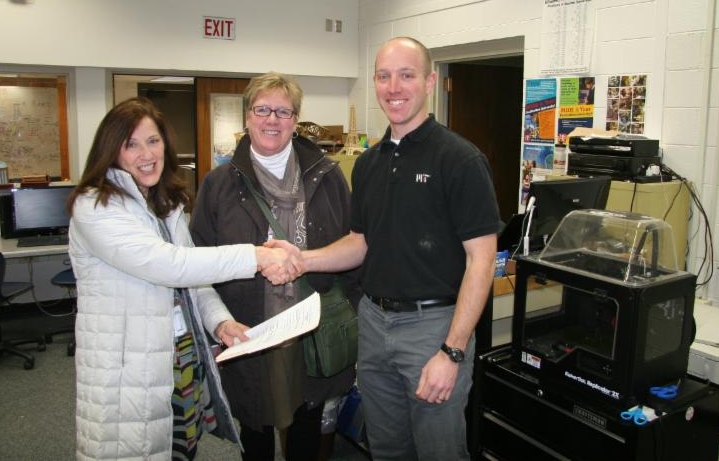 3D Printing $2500 - Horace Mann MS teachers Wayne Kroeplin, Dan Merkel and Sue Engel will add a second 3D Printer to prepare for a Project Lead the Way class open to all District middle school students. The PLTW curriculum is Design & Modeling and Automation & Robotics. 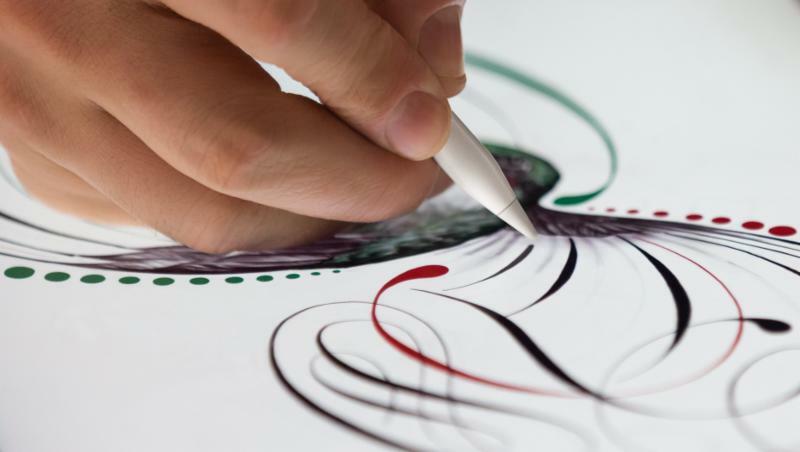 The additional printer will provide valuable hands on experience in collaboration with technology, art and math. "Thanks so much for making this plan come to life. This will have a significant positive impact for our students and community." Wausau East Library Media Specialist, Paula Hase teamed up with teachers Jannel McCallum, Joel Pataconi, Jessica Truax, Steve Heinrich, Pat Ratkovich, and Rob Perkins to secure a grant for iPad Pros and Apple Pencils. Health, Art, Summer School and other areas of the curriculum will "add technology - erase barriers" for innovation and opportunities with digital tools that mimic and spark interest in future careers. 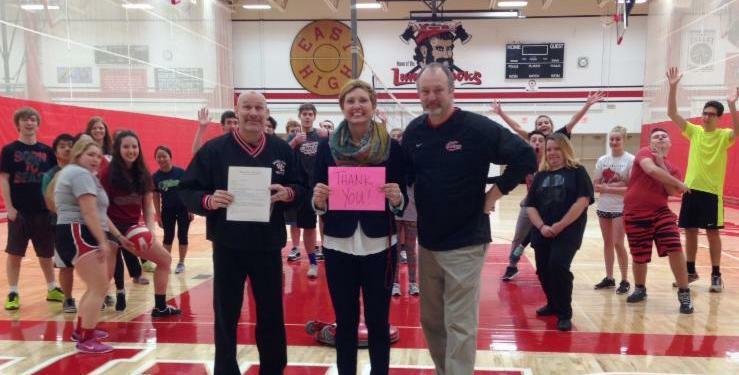 Creating programs that stress lifelong fitness activities, East HS teachers Jessica Truax, Steve Heinrich, Pat Ratkovich, and​​​​​​​ ​​​​​​​Jolyn Cook are excited to add a large screen TV to broadcast videos and utilize apps about yoga, zumba, fitness classes and other activities you might find at a local gym. By utilizing online, virtual, and video resources, staff can tap into expertise through technology! 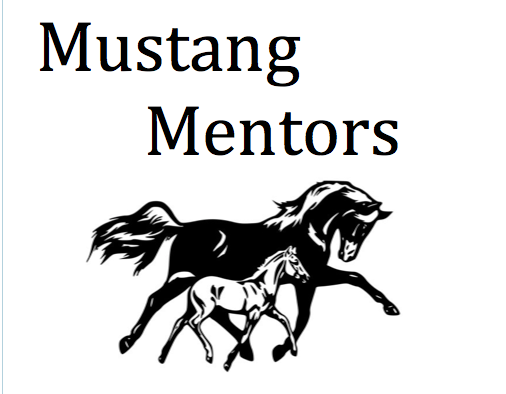 Mustang Mentors $574.75 - Rib Mountain Elementary social worker, Amy Stack will be working with 4th & 5th​​​​​​​ grade students to use leadership skills with younger students. Such programs where younger children receive positive support from​​​​​​​ 'bigger kids' have shown a positive impact on: connecting to school and peers; feelings of competency and self-efficacy; grades and academic achievement; and pro-social behaviors and attitudes. In other words...'they grow to love school!